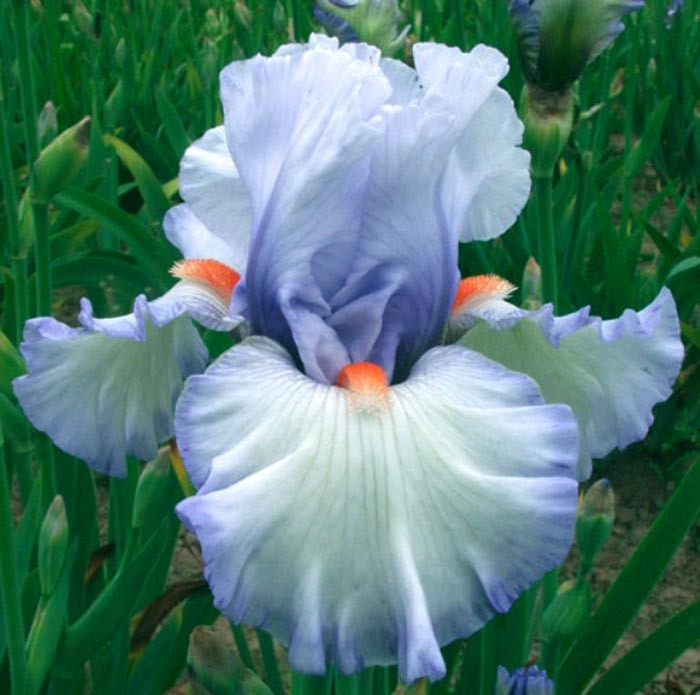 Hybridizer's Comment: Pastel pulchritude. Pale sky blue standards are reflected in paler silvery blue falls with darker marginal me. Settingsun red (not tangerine) beards light up the horizon line. Ruffled, undulating form. Terminal plus two branches and spur.